Handel's Messiah is one of the most beloved musical works of the western world, playing an especially sentimental role in many people's Christmas traditions. The libretto of the work, taken directly from the King James text of fourteen books of the Bible, has turned many otherwise forgettable phrases into memorable, singable, cherished lines of Scripture. 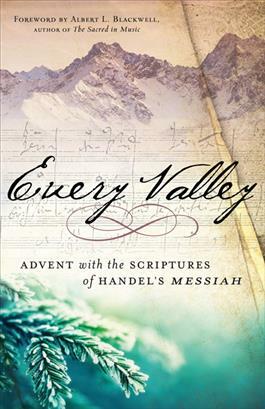 This gift-worthy book will delight and inspire classical music fans and those for whom Messiah is a beloved Christmas tradition with essays exploring the theological, historical, and pastoral implications of the Scriptures that make up Handel's Messiah. Forty reflections journey in order through the oratorio, taking the reader deeper into less-often studied texts like Malachi 3:3 and bringing new light to oft-recited passages like Luke 2:9-14. Each reflection offers the libretto from Messiah, the same passage in NRSV, and a brief commentary on the text, written by a respected scholar or pastor. Readers can peruse the book at leisure or examine one reflection per day throughout the Advent and Christmas seasons.